Looking to set your wedding reception apart? Don’t just hire any DJ! Think outside the box. Create an event that will never, ever be forgotten by your friends and family! Imagine a story written just for you, about how you met, what sparked the romance and how you traveled together to this once in a lifetime event-your wedding day. Imagine your Love Story presented to all those present at your wedding reception, a perfect time when all are gathered in your presence to celebrate and share in this milestone day of your journey! Black Tie will write and present your story the way it was meant to be shared….with humor, emotion, romance and your own unique touches. It will be set to music and presented live to your guests at the most perfect moment. Maura and Jacob Vroman react during their Love Story as they recall how they met for the first time! this entertaining and emotionally powerful moment! But they will remember and cherish it for years to come! Bobbi and Nathan Vandegrift light up as they recall their first date in their Love Story. Black Tie has perfected the art of The Love Story and is the first and only entertainment service in the region to offer this signature memory to share with your guests at your wedding reception. 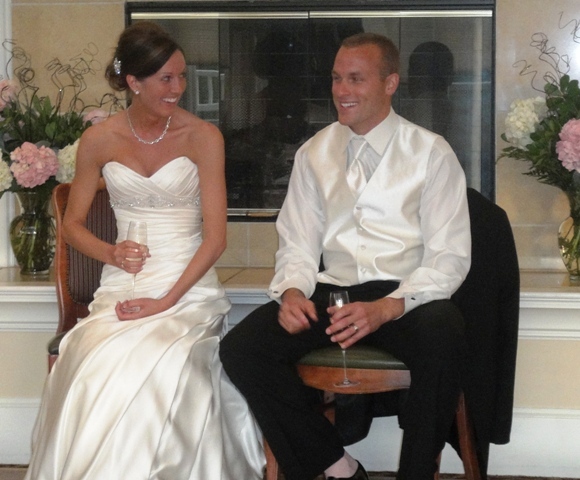 Ashley and Justin Schlader laugh about the time they first met at the corner of Clinton and Davenport Street in Iowa City where he convinced Ashley that he played basketball for the Hawkeyes. Now your wedding reception can be incredibly distinctive! 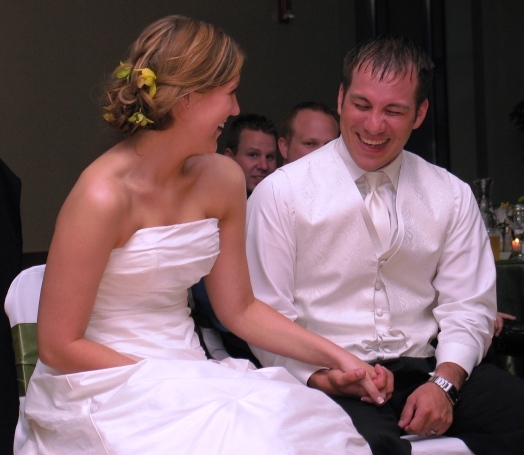 Jami and Nathan Bowers enjoy a moment during their Love Story. Photo courtesy of Rick Jennisch Photography. Many couples have told us after their event that The Love Story was the highlight of their day! Don’t wait! 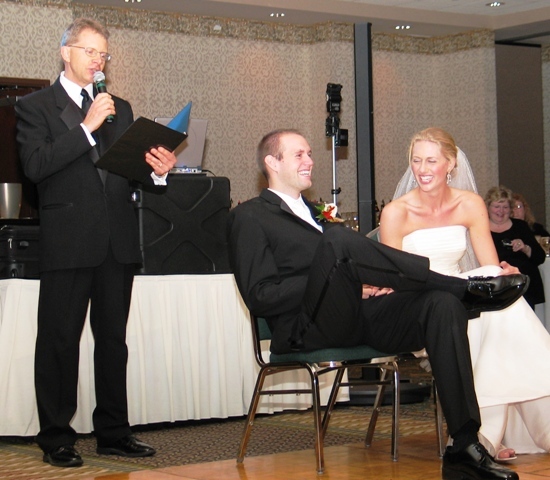 Over the years we have had many clients choose the date of their wedding based on the availability of this feature. That says a lot about the impact and value of this feature! 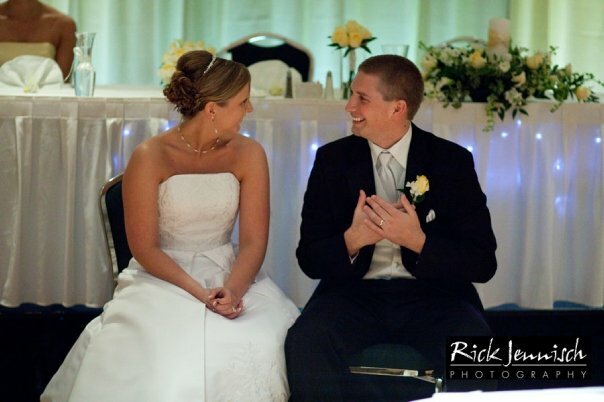 We want to make your wedding day as special as it can possibly be. Contact us today!